I've been feeling really lazy beauty-wise lately, so I've been falling back on some of my tried and true 'one wash' eyeshadows. All of these shadows work well on their own. You can easily get away with sweeping these on your lids, slapping on some mascara, and heading out the door. In other words, they are perfect for days when you are in a hurry or otherwise feeling lazy. Surprising no one, my favorites for this purpose are all neutrals. And all have either a satin or shimmer finish. 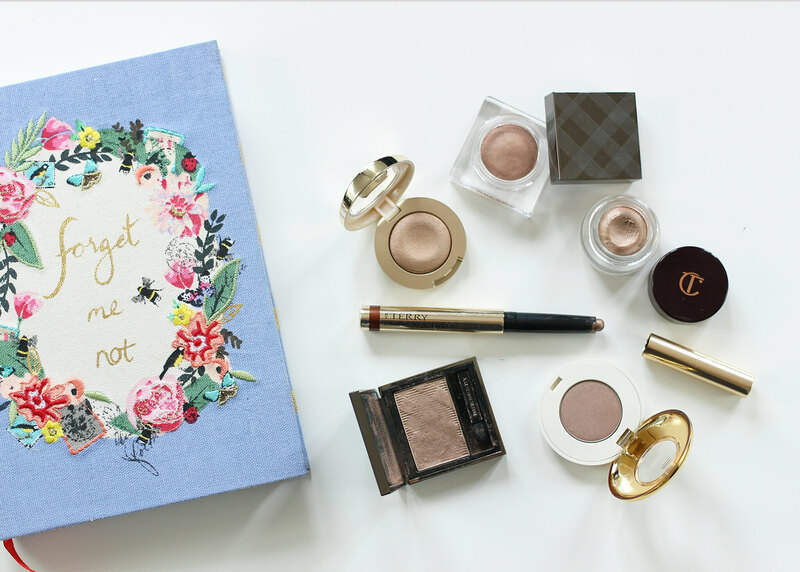 Three of my faves are powder, but for the truly lazy (aka, those who want to apply their eyeshadow without a brush) the cream products I've selected are perfect. Milani Bella Eyes Gel Powder Eyeshadow in 02 Bella Sand: KathleenLights used this in her Natasha Denona GRWM Video and I immediately decided I needed it in my life. The pigmentation on this shadow is beautiful, and it gives a golden wash to the eye without pulling too warm. And at around $5, this is the most affordable option. Available on Milani.com or at CVS. 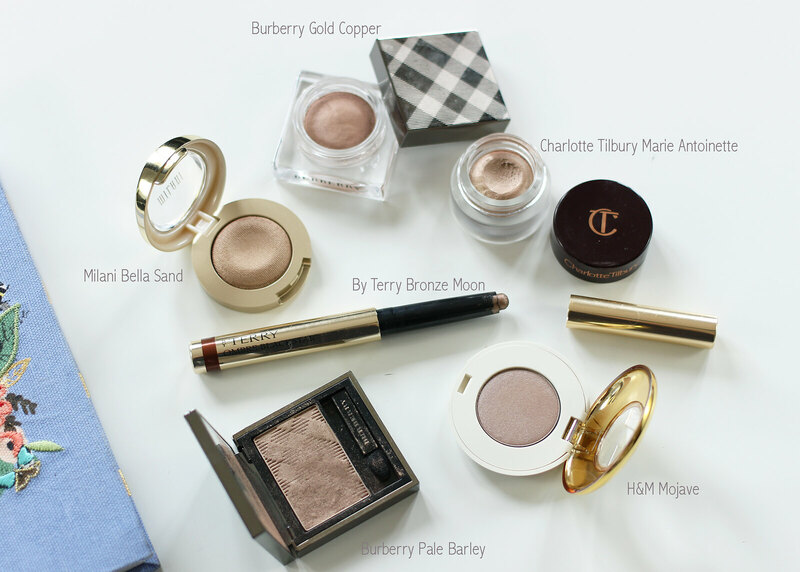 Burberry Eye Colour Cream in 100 Gold Copper: Although this is referred to as a cream eyeshadow, the texture is nothing like other cream shadows I've tried. Most, like the Charlotte Tilbury or Tom Ford, are a bit moussey in texture. 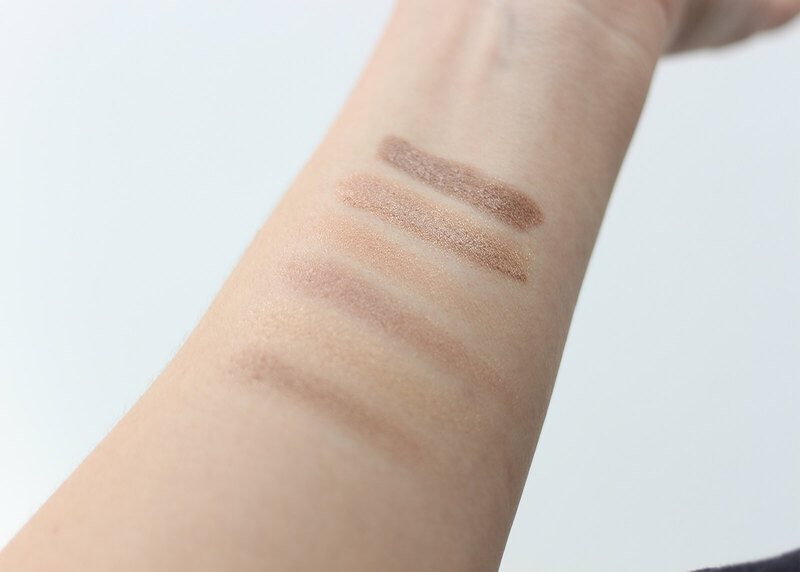 The Burberry cream shadows are much more solid, and therefore have a less intense color payoff. That could be a good thing or bad thing, depending on how heavy handed you are and how bold of a statement you want to make. Gold Copper has a satin finish and on me is a lovely gold that (fortunately) doesn't pull too warm or too orange. Available at Sephora for $30. Charlotte Tilbury Eyes to Mesmerise Cream Eyeshadow in Marie Antoinette: Marie Antoinette is described as an 'antique oyster gold hue', but to me it translates to a midtone brown with a hint of taupe. However you would describe it, it's a beautiful shade. But just know that a little goes a loooong way with this product. All it takes is the gentlest dab into the product to get more than enough to do both of your eyes. This cream shadow is easy to blend out, but it wears like iron once it is set. Available at Nordstrom for $32. By Terry Ombre Blackstar Cream Eyeshadow in Bronze Moon: This is a massive cult classic, but I was almost ready to write off this eyeshadow initially because it sat really strangely on my eyelids. It was almost as if it made my lids stick to themselves. But after a few test runs, I discovered that this problem only arose when I applied Bronze Moon on top of an eyeshadow primer. If I apply it directly to the lids, I have no problem wearing it without creasing or making my lids sticky. Like the Charlotte Tilbury, a little goes a long way here. But it is well worth it—the rich chocolatey shade and gorgeous, sophisticated shimmer are to die for. Available on Beauty.com for $44. H&M High Impact Eye Colour in Mojave: Everyone is raving about the shade Baci di Dama from the H&M Beauty line, but my money is on the shade Mojave. It's a slightly taupey brown with good color payoff. And despite the affordable price tag, it applies smoothly and has good lasting power. $6.99 at H&M. 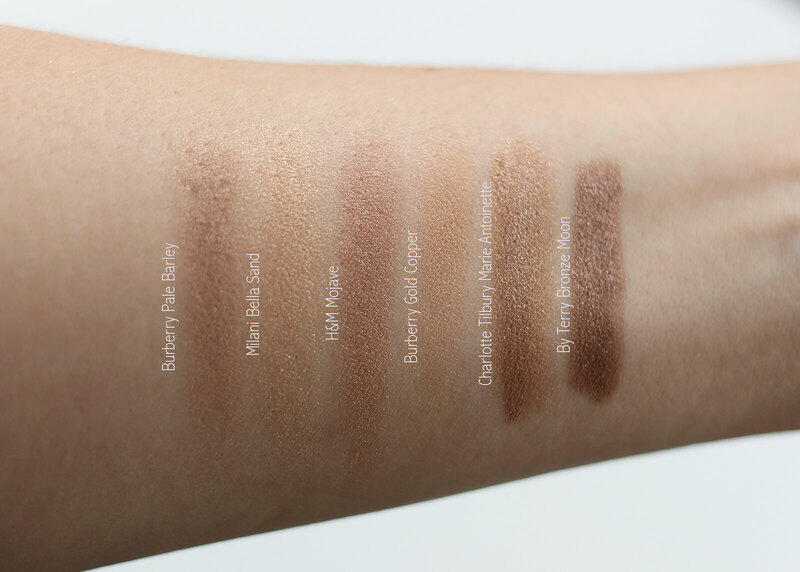 Burberry Sheer Eyeshadow in 22 Pale Barley: The Pale Barley I own is the OG Pale Barley, so I don't know if the shade or finish differ slightly from the current iteration of Pale Barley. In any case, it might just be the silkiest eyeshadow I own. I love that it is on the cooler side of the spectrum, but still works with either warm or cool makeup looks. The sheen it gives make any eyecolour pop, making it a shadow I'd recommend for just about anyone. Available at Sephora for $29. What are your favorite 'one and done' eyeshadows? Have you tried any of these?